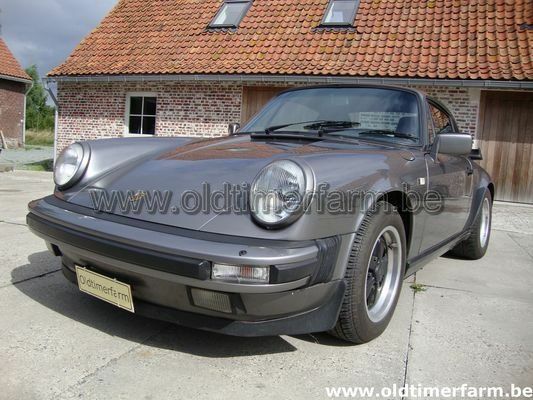 With the 911’s future ensured, 1984 saw the launch of a replacement for the successful SC series. It was the model year 1984 911 3.2 Carrera, reviving the Carrera name for the first time since 1975. The 911 3.2 Carrera was the last iteration in the original 911 series, with all subsequent models featuring new body styling with new brake, electronic and suspension technologies. A new higher displacement motor, a 3.2 liter horizontally opposed flat 6 cylinder, was utilized. At the time Porsche claimed it was 80% new. The new swept volume of 3164 cc was achieved using the 95 mm (3.7 in) bore (from the previous SC model) combined with the 1978 Turbo 3.3 crankshaft's 74.4 mm (2.9 in) stroke. In addition, higher domed pistons increased the compression ratio from 9.8 to 10.3:1 (although only 9.5:1 for the US market). New inlet manifold and exhaust systems were fitted. The 915 transmission was carried over from the SC series for the first three model years. In 1987, the Carrera got a new five-speed gearbox sourced from Getrag, model number G50 with proven Borg-Warner synchronizers. This slightly heavier version also featured a hydraulically operated clutch. With the new engine, power was increased to 207 bhp (154 kW; 210 PS) (@ 5900 rpm) for North American-delivered cars and to 231 bhp (172 kW; 234 PS) (@ 5900 rpm) for most other markets. This version of the 911 accelerated 0–60 mph (100 km/h) in 5.4 seconds and had a top speed of 150 mph (242 km/h) as measured by Autocar. Factory times were more modest: 0-60 mph time of 6.3 seconds for the US version and 6.1 seconds for cars outside the American market. The brake discs were increased in size to aid in more effective heat dissipation and improved oil-fed chain tensioners were fitted to the engine. To improve oil cooling, a finned cooler replaced the serpentine lines in the front passenger fender well. This was further improved in 1987, with the addition of a thermostatically controlled fan. Driving refinement and motor reliability were improved with an upgrade of the fuel and ignition control components to a L-Jetronic with Bosch Motronics 2 DME (Digital Motor Electronics system). An improvement in fuel-efficiency was due to the DME providing a petrol cut-off on the overrun. Changes in the fuel map & chip programming from October 1986, further improved the power to 217 bhp (162 kW; 220 PS) (@ 5900 rpm) for North American delivered cars as well as for other markets requesting low emissions, like Germany. Custom-mapped chips remain a popular upgrade. The fuel relay that is mounted externally on the DME is known to be a weak point of the system. For the European market in Italy a very exclusive version was introduced by the Porsche agent, ten Carrera model ST (Senza Turbo) were produced to commemorate the myth of the 10th anniversary of the Carrera RS model, revised engine developing 255 bhp (190 kW; 259 PS) they were all "Grand Prix white" with red or blue "Carrera ST" decal on each side of the car and blue or red wheels, the logo carrera ST (and 3.2 on the boot gril) on their famous duck tail, and a special engraved plate on the dash board, the serial N° were 490-499. 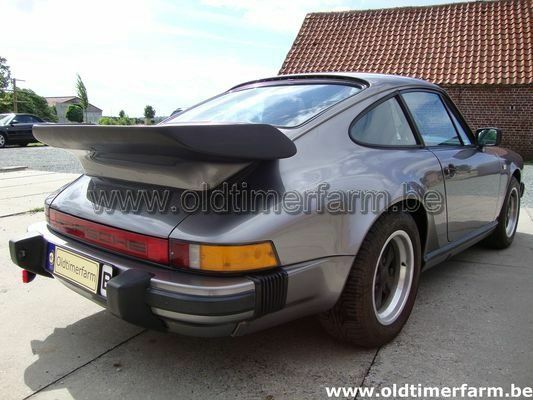 The 911 Carrera Club Sport (CS) (option M637), 340 of which were produced worldwide from August 1987 to September 1989, is a reduced weight version of the standard Carrera that, with engine and suspension modifications, was purpose built for club racing. The CS had a blueprinted engine with hollow intake valves and a higher rev limit, deletion of: all power options, sunroof (except one example), air conditioning (except two examples), radio, rear seat, undercoating, sound insulation, rear wiper, door pocket lids, fog lamps, front hood locking mechanism, engine and luggage compartment lights, lockable wheel nuts and even the rear lid "Carrera" logo, all in order to save an estimated 70 kg (155 lb) in weight. With the exception of CSs delivered to the UK, all are identifiable by the "CS Club Sport" decal on the left front fender and came in a variety of colors, some special ordered. Some U.S. CS's did not have the decal installed by the dealer; however, all CS's have a "SP" stamp on the crankcase and cylinder head. The UK CS's were all "Grand Prix White" with a red "Carrera CS" decal on each side of the car and red wheels. Although the CS was well received by the club racers, because it cost more than the stock 911 but had fewer "creature comforts", it was not well received by the public in general. Consequently, according to Porsche Club of America and Porsche Club Great Britain CS Registers, only 21 are documented as delivered to the U.S. in 1988 with 7 in 1989, one to Canada in 1988 and 53 to the United Kingdom from 1987 to 1989. The 911 Speedster (option M503), a low-roof version of the Cabriolet which was evocative of the Porsche 356 Speedster of the 1950s, was produced in limited numbers (2,104) starting in January 1989 until July 1989 as both a narrow body car and a Turbo-look. The narrow version was produced only 171 times. The Speedster started as a design under Helmuth Bott in 1983 but was not manufactured until six years later. It was a two-seat convertible that featured a low swept windshield. Total production of the 911 3.2 Carrera series was 76,473 cars (35,670 coupé, 19,987 cabrio, 18,468 targa. Specifications. Body : length/width/height/wheelbase –cm (in) : 429/165/132/229 (168.9/65/52/89.4); weight : 1350 kg (2980 lb). Engine : 6-cylinders in line 3164 cc (193 ci), air-cooled, rear-mounted, 5-speed, manual, rear-wheel drive. Maximum power : 229 bhp @ 5900 rpm. Top speed : 245 km/h (152 mph); 0-60 mph : 5.6 sec.